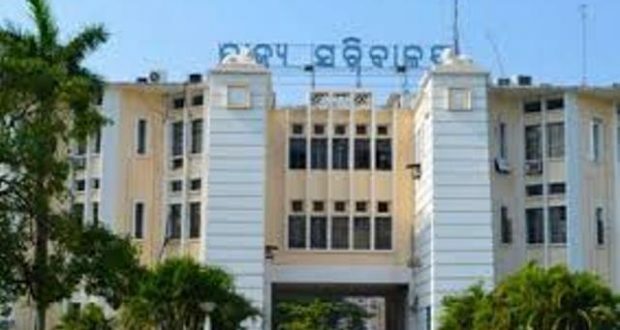 Bhubaneswar:10/12/18: The state government has effected a major reshuffle in Odisha Administrative Service (OAS) cadre with transfer of as many as 13 officials working in different capacities. As per the notification issued by General Administration and Public Grievance Department, the officers have been transferred by the order of the Governor. Subhakanta Mishra, OAS(SS), Special Secretary to Government, Home Department has been transferred and posted as Director, Land Records and Survey, Cuttack. Rajendra Prasad Mund, OAS (SS), Special LAO, M.C.l.l.P., Cuttack has been transferred and posted as Secretary to RDC (ND), Sambalpur. Bibhu Prasad Sarangi, OAS(SS), Director, Secondary Education is transferred and posted as Special Secretary to Government, School & Mass Education Department. Biswanath Pradhan, OAS(SS), Special Secretary to Government, School & Mass Education Department is transferred and posted as Director, Secondary Education. Saroj Kumar Sethi, OAS(SAG), Additional Secretary to Government, Forest & Environment Department is transferred and posted as OSD, Ama Gaon Ama Bikash (peetha), Panchayati Raj & Drinking Water Department. Aswini Kumar Choudhury, OAS(SAG), Registrar, VSSUT, Burla, is transferred and posted as Additional Secretary to Government, Forest & Environment Department. Anjana Panda, OAS(S), Joint Secretary to Government, Handlooms, Textiles & Handicrafts Department is transferred and posted as Joint Secretary to Government, Panchayati Raj & Drinking Water Department. Swayamprabha Mohanty, OAS(S) Joint Secretary to Government, Panchayati Raj & Drinking Water Department is transferred and posted Joint Secretary to Government, Handlooms, Textiles & Handicrafts Department. Ajodhya Kanta Satapathy, OAS(S), ADM, Malkangiri is transferred and posted as G.M., RlC, Rayagada on Foreign Service terms & conditions. Birasen Pradhan, OAS(S), Sub Collector, Sundargarh is transferred and posted as Additional District Magistrate, Malkangiri. Dolamani Patel, OAS Gr.A (SB), APD (Admin. ), DRDA, Jharsugada is transferred and posted as Sub-Collector, Sundargarh. Kanhu Charan Mallick, OAS Gr.A (SB), Executive Officer, Balasore Municipality is transferred and posted as Deputy Secretary to Government, Works Department. Manjulata Mallick, OAS Gr.A (SB), UoT as Tahasildar, Bari is transferred and posted as Deputy Secretary, Board of Revenue, Odisha, Cuttack. Posting of Manjulata Mallick, OAS Gr.A (SB), as Tahasildar, Bari, Jajpur, made vide this Department Notification No.25347|SCS dated 30.08.2018, is hereby cancelled. Besides, the state government appointed Birasen Pradhan, OAS (S), as the Additional District Magistrate of Malkangiri and Dolamani Patel, OAS Gr.A(SB), as the Sub-Divisional Magistrate, Sundargarh.